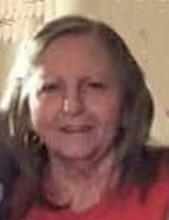 Barbara Joyce Daves, age 73, passed away in OKC, OK on October 7, 2018 after a long illness. She was born on April 14, 1945 in OKC, OK to James & Joyce Rhea Dockery, their first daughter. Barbara was raised in OKC and spent most of her life here. Barbara married Calvert Jerry Boucher and they had a son, Jerry Don Boucher. After they parted ways, Barbara met and later married Jackie Dale Smith and had two children with him, Jackie Dale Smith Jr. and Deborah Joyce Smith. Barbara worked hard all her life and gave her back and her health to Albertsons meat department after devoting 20 + years in that field. She had a keen sense of humor and really loved to help people, and her children were the most important thing in her entire world. She is preceded in death by her parents, James and Joyce Dockery and her son, Jackie Dale Smith Jr. She is survived by her son Jerry Don Boucher and his wife, her daughter Deborah Smith, her brother and his wife Gary and Beverly Dockery, her brother Gerald Wayne Dockery and daughter, her sister Jeannette Hulsey, husband, children and grandchildren, and brother Joseph Edward Dockery, Lisa Dockery, their daughter and grandson. A memorial service has been set for Thursday, October 11, 2018 at 2:00 PM at the Chapel of McNeil’s Funeral Service, Mustang, OK.
To send flowers or a remembrance gift to the family of Barbara Joyce Daves, please visit our Tribute Store. "Email Address" would like to share the life celebration of Barbara Joyce Daves. Click on the "link" to go to share a favorite memory or leave a condolence message for the family.